Hope everyone appreciates the alliteration – coming up with clever titles is probably the funnest part about writing posts! Tomorrow marks an exciting day for the average investor…. or does it? Warren Buffett has long been referred to as the “Oracle from Omaha” and Berkshire Hathaway has been the “golden egg” investment (BRK-A), being one of the most prestigious, and expensive, stocks traded on the NYSE. It’s funny to think how much you’d have if you only owned 10 of the Class A shares. Closing at $104,200 – that’s NO small sum. Part of why the shares never paid a dividend or split was that Buffett believed in retaining the true value of the stock (see bullet #10). The “lesser” shares (BRK-B), closing today at $3,476, were originally offered in 1996 to create a more affordable option, and also a way to pass shares to heirs – now THAT’S a cool phrase. Even though that’s a stark difference, plenty of average investors were still priced out of this investment. Well, not anymore…. Tomorrow morning the B-class shares are splitting 50:1 and should be opening around $69.50/share. What do the readers think? Is this a “best buy” or “bogus bet”. Here’s what I’ve seen as the pros and cons. Lower Cost. Even if you believed in Warren’s style, investing $3.5k per share could end up in a large commitment. A lower price will allow more purchasing “peace of mind”. Increased Volume. If you look at the past volume trends, they are very low. A spike in buyers could push the stock simply by momentum. Could it also result in a greater spread between the bid/ask? Lower Cost. 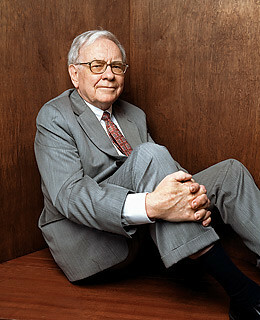 Like Buffet states, splits dilute the shares of current investors and welcomes in the “unworthy”. Does this really though? Since the metaphorical pie is the same, aren’t you only divvying it up into more slices. Increased Volume. The jump in buyers could be started or amplified by speculative, short-term trading. When you bought shares before, everyone was in it for the long haul. Now, they may be trying to scrape a little off the top. Buying Buffet’s Dream. With the stock split on the coat tails of the recent Burlington Northern (BNI) acquisition ($26bil), some have argued Buffet is diluting the shares to close the deal. Buying Buffet’s Dream. There was this one saying I came across, “We are too early old and too late smart”. Buffet’s wonder has always revolved around this Oracle nature. Looking beyond the beyond, and selecting great companies we don’t yet know are great. Maybe buying into Buffet’s Dream is really buying into our own dream, but we don’t realize it yet. I started looking into speculating myself through call options. With no experience in options trading and a few articles under my belt, beating the market would be a cinch! *Note the headings below – gamble, bet, luck…. THE BET: Baby Berkies are going ABOVE the split price. THE GAMBLE: Purchase 1 contract (100 shares) with an expiration in March 2010 and strike price of $3,400 for around $200 (Actual Cost = $20,000 + Commission). After the split, the contract would be readjusted to 50 contracts (5,000 shares) at the new strike price ($68.00). THE LUCK: Let’s say the shares gain a nice 10% that day. I could exercise my option. This results in me purchasing the underlying security at the strike price (5,000 shares @ $68.00 or $340k) and selling at the current price (5,000 shares @ $74.80 or $374,000). The net result would be a hefty gain of $34,000 (plus commissions). THE RISK: Shares tank, “out of the money”, let the contract expire. Loss of $20k (yikes). “this is ridiculous, why do people give themselves so much credit”. I was seriously considering taking a position in an ultrashort (DUG). You’d turn on the CNBC dog-and-pony show and realize every hour was a new Chicken Little story. The market has knee-jerk reactions to events leaving those who use logic to scratch their heads. Actually it leaves people who don’t know what’s going on (myself included) wondering if they’ll ever figure this game out. Another example was the run-up of solar a few years back. The technology was bare bones at the time (roughly 20% efficiency I believe). The development has improved greatly, but the Brads and Codys had already moved on. At any rate, I’ve started to digress into a new topic so I will sign off for now and pick up with these ideas later on. I’ve always had an affinity to water (mostly playing in it), but may consider writing a post on water technologies, and specifically, desalination as a potential investment. Finally back to YOU the readers. Generate some buzz on this topic. What’s your take on the situation? I’ll look for plug-ins so we can get a straw poll.